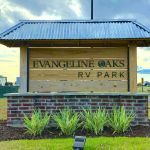 Ask fellow campers about "Evangeline Oaks RV Park III (I0wa, LA)" and nearby attractions. Park was pretty basic. Staff was very friendly and helpful. Could not get WiFi to work at park for some reason. Nice laundry room facility. Great for overnight stay while traveling. We camped at Evangeline Oaks RV Park III (I0wa, LA) in a Motorhome. Nice park just off I-10 east of Lake Charles, LA. 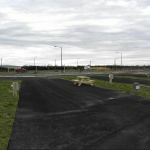 Level, paved sites, good spacing, well lit, clean rest rooms and laundry room, great staff. New park, just opened January 2018. We camped at Evangeline Oaks RV Park III (I0wa, LA) in a Motorhome. Far enough off the road that the highway noise is tolerable. Just down the street from Louisiana Spirits Distillery (Bayou Rum) with free tours. We're glad you're enjoying your stay! 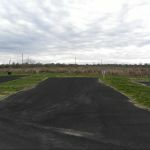 Are you affiliated with Evangeline Oaks RV Park III (I0wa, LA) ?